The standalone trackers for the HTC Vive virtual reality headset that are designed to bring new accessories and body parts into virtual reality, are now available for pre-order. The Trackers will be available as a la carte, as well as in various bundles which pair the trackers with third-party accessories and compatible software. Initially offered to developers in early 2017, the Vive trackers can add a lot to various experiences because they allow whatever they’re attached to to be tracked in-game. Stick them on a gun and you have an in-game gun, stick them on your legs and suddenly you have an extra pair of tracked limbs. The possibilities are near endless and already third-parties are looking to take advantage. The trackers, which go up for pre-order today, have a price tag of $100 on their own, but the most value can be found in the bundle deals. You can grab one paired with the Hyper Blaster, a light-gun inspired gun accessory that any fan of the original Duck Hunt will recognize. It comes with its own VR Tracker and Duck Season in a $150 bundle. It’s also compatible with several other games, including Operation Warcade, TacticalAR and Practisim VR. HTC claims that it’s working with 10 other developers to implement Hyper Blaster support by the first quarter of 2018. 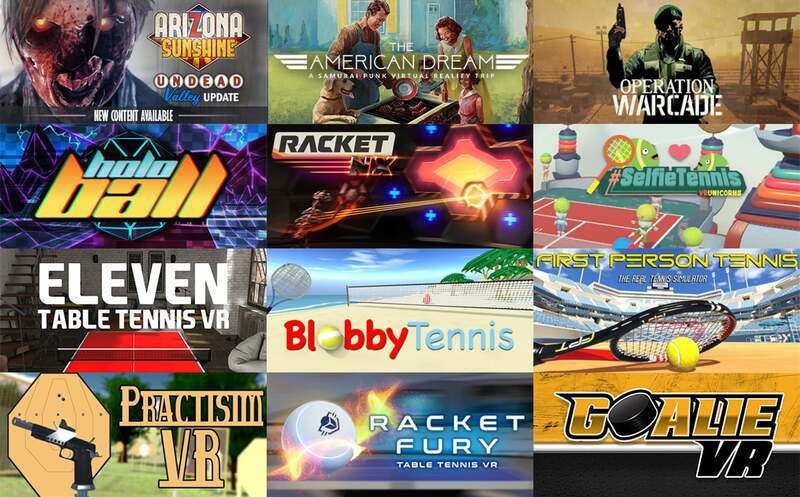 The collection of games compatible with Vive tracker accessories. Joining the list of VR tracker accessories is the Racket Sports Set which features a custom-molded and weighted paddle and racket system. Packaged with Ping Pong and Tennis games, the controllers are compatible with a total of five experiences at this pre-order stage, with five more expected by the end of the year. 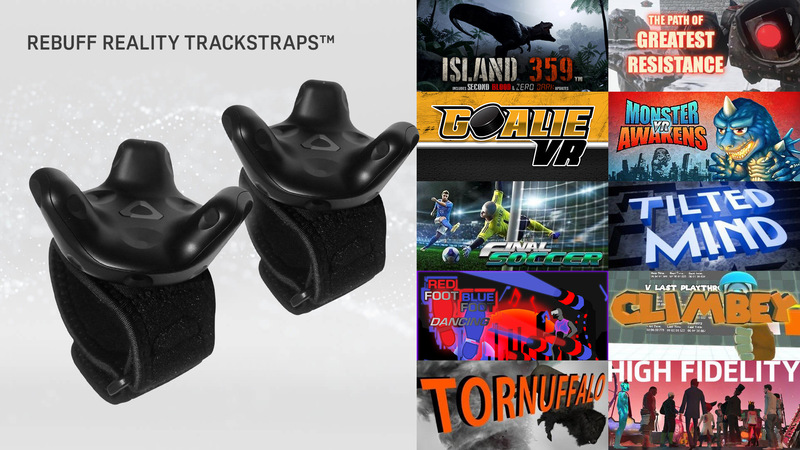 While those bundles are pre-order only, what you can buy today is the TrackStrap, which makes it possible to attach the new Vive Tracker to your various body parts. You’ll need a separate tracker for each strap, but they let you add your legs and other body parts into the virtual world, potentially enabling full body tracking. Buying one today for $15 will also net you a free Steam key for Redfoot Bluefoot Dancing. HTC informs us that “dozens” of developers have integrated full body tracking in their games, so we could see systems like the TrackStrap becoming increasingly useful as an addition to household Vive setups. HTC lists arrival dates for the bundles and standalone Vive Trackers as “mid-December,” though the firm doesn’t specify an actual shipping date or whether it can guarantee holiday season deliveries.